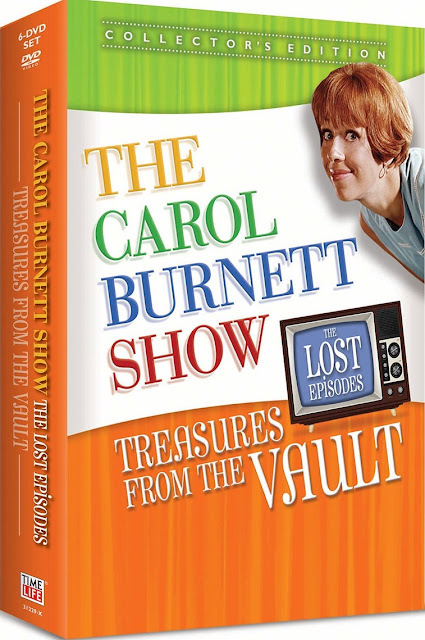 Giveaway Contest: Enter to Win One of Three Copies of The Carol Burnett Show: Treasures From the Vault! 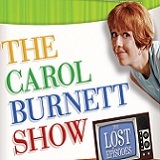 During the late-'60s, CBS was "The Carol Burnett Show" network, a joking reference based on the program's widespread popularity and huge ratings. Yet, the first five seasons have never resurfaced -- no reruns, streaming video, DVDs or other formats -- until now. In late 2015, the award-winning TV archivists at Time Life delivered the first home entertainment release from these early seasons with the LOST EPISODES, showcasing the earliest days of one of the most honored and beloved shows in television history, and the birth of a TV legend - unseen by the public in more than 40 years! remains an inspiration for new generations of comedians"
"This is what classic television is all about"
Classic sketches "The Old Folks," "The Ham Actors," "Carol and Sis," "Alice Portnoy" and "As the Stomach Turns"; TV and movie parodies including "Valley of the Dollars," "Bony and Clod," "Guess What's Coming to Dinner?, " the epic "Mildred Fierce" and "Salute to Warner Bros. Studios, with Bugs Bunny"
Iconic guest stars including JonathanWinters, Joan Rivers, Sonny & Cher, Paul Lynde, Art Carney, Betty Grable, Mickey Rooney and many others, along with surprise appearances by Bob Hope and Ronald Reagan! Over four hours of exclusive bonus programming featuring newly-shot interviews with Tony Bennett, Steve Carell, Kristin Chenoweth, Tina Fey, Burt Reynolds and others; hilarious bonus sketches, featurettes including "The Song and Dance: Crooners, Hoofers & Balladeers," "Expecting the Unexpected," and "The Making of a Mackie," as well as never-before-seen outtakes. The single DVD ($12.95srp) of TREASURES FROM THE VAULT, priced to add to every home entertainment collection, features three complete episodes and over 40 minutes of exclusive bonus features. With these two new LOST EPISODES DVD collections, fans of both the series and classic television will have the opportunity to tune in and rediscover what made the program tick and stick around as one of the best hours in all of TV history. The Carol Burnett Show debuted on CBS in 1967 and ran for 11 years, receiving 25 Emmy Awards and eight Golden Globes, making it one of the most honored shows in television history. TIME Magazine named The Carol Burnett Show one of the "100 Best Television Shows of all Time" and Carol Burnett has been honored with more People's Choice Awards than any other actress. THE CAROL BURNETT SHOW: THE LOST EPISODES, unveiled by Time Life in 2015, features original, uncut broadcast episodes from Seasons 1-5 (1967-1972), unseen by the public in more than 40 years. Across these long lost episodes, consumers will see the very first steps of a TV icon, the magic of Carol's cast coming together in the first episodes of some of their most unforgettable sketches, and an incredible array of guest stars including Carol's hero, Lucille Ball, along with Eddie Albert, Bing Crosby, Phyllis Diller, Bob Newhart, Don Rickles, Chita Rivera, Joan Rivers, Mel Torme, Nancy Wilson, Jonathan Winters and many more. Congratulations to Bill N., Gary F., and Ken B.! Thanks to all who entered the contest! thanks the copy of the Carol Burnett Show dvd set i won in your contest arrived today! !